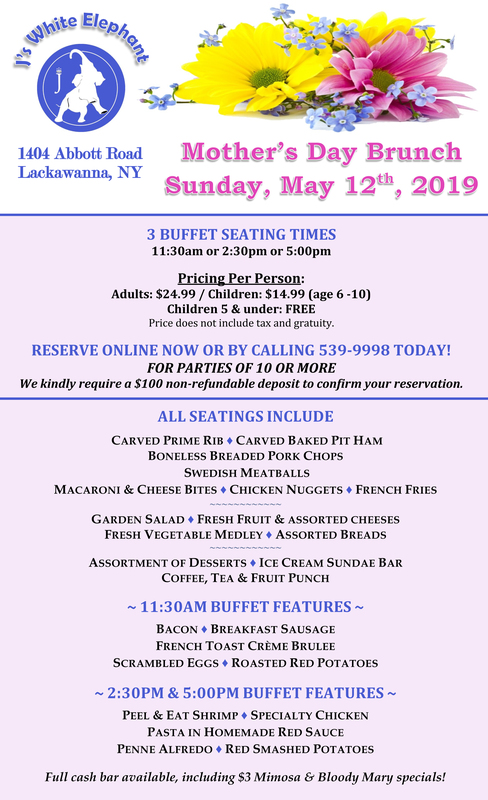 Join us for a fabulous brunch to celebrate Mother’s Day! Reserve your spot early because we only have a limited amount of seats available for the three times we are offering. We have a wonderful selection of breakfast and bunch items including carving station for our delicious Prime Rib and Honey Glazed Pit Ham.